Do you want to get a rise out of Christians? Then, start talking about whether they sin or not after becoming believers. Sin, by definition, is “missing the mark.” Paul renders it, falling short of the glory of God. The attaining and maintaining of the Glory of God is our “mark,” our “target.” We have been given God’s glory (John 17:22) and we are to reveal that glory to the world. (Mat 5:16) When we fail to do so by acting contrary to God’s will, we fall short of our goal of revealing God glory by our obedience to God’s good and perfect will for us. That is what sin is. When we ask someone for forgiveness we must confess our sin against him. To be sincere that request must include sorrow for our sin and repentance. Those conditions fulfill God’s requirements for forgiveness: If we confess our sins, He is faithful and just to forgive us our sins and to cleanse us from all unrighteousness. (1 Jo 1:9) And if we forgive, God forgives. (Mat 6:14). How would you respond if a person asked you: Do you sin and is it on purpose? Can this sinning involve breaking the rule of those over you, including speeding – as an example? This person backed up this statement by applying Romans 13:2 (KJV), ‘Whosoever therefore resisteth the power, resisteth the ordinance of God: and they that resist shall receive to themselves damnation’ (emphasis in his original). Oh no??? What would happen if you were speeding, had an accident and died prior to confessing? Worse yet, have you ever got angry at others when driving; maybe even your brethren in Christ without knowing them, and ended up breaking the greatest of Jesus’ commands of all; Rom 13:9 . . .it is briefly comprehended in this saying, namely, Thou shalt love thy neighbour as thyself. Evangelical theologian, Wayne Grudem, provided this definition: ‘Sin is any failure to conform to the moral law of God in act, attitude, or nature’ (Grudem 1999:210, emphasis in original). However, this is a rather restricted definition when the diversity of NT words for sin is considered. 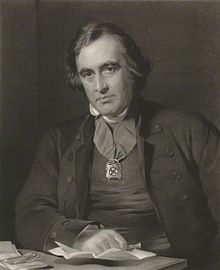 (Richard C Trench, Anglican Archbishop of Dublin, courtesy Wikipedia) Trench was Archbishop from 1864-1884 and he died in 1886 at the age of 78.
agnoema signifies error, i.e. ignorance of what one should have known. The only incidence of this word in the NT is in Heb 9:7. However, the related word, agnoia is in Ps 25:7 and the verb, agnoein, is in Ps 25:7 and Heb 5:2. ‘Sin is designated as an agnoema when it is desired to make excuses for it, as far as there is room for such, to regard it in the mildest possible light (see Acts 3:17)’. Trench observes that ‘there is always an element of ignorance in every human transgression…. Compare the words of the Lord, “Father, forgive them, for they know not what they do” (Luke 23:34), and those of St. Paul, “I obtained mercy because I did it ignorantly, in unbelief” (1 Tim 1:13). Thus, ‘No sin of man, except perhaps the sin against the Holy Ghost, which may for this reason be irremissible [unpardonable] (Matt 12:32), is committed with a full and perfect recognition of the evil which is chosen as evil, and of the good which is forsaken as good’ (Trench 1880:247). we have generally translated anomia “iniquity” (Matt 7:23; Rom 6:19; Heb 10:17); once “unrighteousness” (2 Cor 6:14), and once “transgression of the law” (1 Jn 3:4). It is set over against dikaiosune (2 Cor 6:14)…; joined with anarchia … with antilogia (Ps 55:10). While anomos is once at least in the N.T. used negatively of a person without law, or to whom a law has not been given (1 Cor 9:21)…; though elsewhere of the greatest enemy of all law, the Man of Sin, the lawless one (2 Thess 2:8); anomia is never there the condition of one living without law but always the condition or deed of one who acts contrary to law: and so, of course, paranomia, found only at 2 Pet 2:16; cf. Prov 10:29, and with paranomein, Acts 23:3. It will follow that where there is no law (Rom 5:13), there may be hamartia, adikia [i.e. injustice, unrighteousness] but not anomia, being as Oecumenius defines it “the error against the adopted law” or as Fritzsche stated, “the contempt for the law or the permissiveness of morals by which the law is violated.” Thus the Gentiles, not having a law (Rom 2:14) might be charged with sin; but they, sinning without law (anomos = chwris nomou, Rom 2:12; 3:21), could not be charged with anomia. It is true, indeed, that, behind that law of Moses, which they never had is another law, the original law and revelation of the righteousness of God that is written on the hearts of all (Rom 2:14-15); and, as this in no human heart is obliterated quite, all sin, even that of the darkest and most ignorant savage, must still in a secondary sense remain as anomia, a violation of this older, though partially obscured, law (Trench 1880:243-244). hamartia or hamartema, which means missing of a mark or aim, is the meaning most frequently used to describe sin. Examples of the use of hamartia include (this is not an extensive list) Jn 8:21; Rom 3:9; 5:12; 6:2, 6; 7:7; 8:2-3; 2 Cor 5:21; Jas 1:15; etc. Hamartema occurs only in Mark 3:28; 4:12; Rom 3:25; 1 Cor 6:18. This word is never used as meaning ‘sinfulness, or as the act of sinning, but only sin contemplated in its separate outcomings and deeds of disobedience to a divine law’. The difference between hamartia and hamartema is that hamartia ‘is sin in the abstract as well as the concrete’ (Trench 1880:241). hettema refers to failure – reducing what should have been provided in full. It does not occur in Classical Greek, appears once in the LXX at Isa 31:8 and is only used twice in the NT at Rom 11:12 and 1 Cor 6:7, having ‘an ethical sense’ in the latter Scripture, meaning ‘coming short of duty, a fault’ (Trench 1880:248). parabasis means transgressing of a line. ‘There must be something to transgress, before there can be a transgression…. With law came for the first time the possibility of the transgression of the law’ (Rom 4:15). ‘In the constant language of St. Paul this parabasis, as the transgression of a commandment distinctly given, is more serious than hamartia (Rom 2:23; 1 Tim 2:14; cf. Heb 2:2; 9:15). See also the use of both hamartia and parabasis in Rom 5:14 (Trench 1880:244-245). parakoe refers to disobeying a voice. It appears 3 times in the NT at Rom 5:19; 2 Cor 10:6; Heb 2:2, and this noun is never in the LXX. However, the verb, parakouw (I refuse to hear) is used in Matt 18:17 and also in Esth 3:3, 8 and Isa 65:12. ‘Parakoe is in its strictest sense a failing to hear, or a hearing amiss; the notion of active disobedience, which follows on this inattentive or careless hearing, being superinduced upon the word; or, it may be, the sin being regarded as already committed in the failing to listen when God is speaking’ (Trench 1880:242-243). paraptwma is sometimes used when it is intended to designate sins that are not of the deepest dye [of the most extreme] and the worst enormity. One may trace this very clearly in Gal 6:1, our Translators [KJV] no doubt meaning to indicate as much when they rendered it by “fault,” and not obscurely, as it seems to me in Rom 5:15, 17, 18. Paraptwma is used in the same way, as an error, a mistake in judgment, a blunder, by Polybius (9.10.6) (Trench 1880:246). The milder form of paraptwma is not always associated with its use. It is a mortal sin (Ezek 18:26) and in Heb 6:6, the parapesein [parapiptw] has an emphasis similar to that of other words for ‘sin’ in Heb 10:26 (‘sinning deliberately’) and Heb 3:12 (‘to fall away from the living God’). ‘In the Epistle to the Hebrews, and in which he distinctly calls it paraptwma, when a man, having reached an acknowledged pitch of godliness and virtue, falls back from, and out of this; “he was lifted up to the height of heaven, and is fallen down to the deep of hell’ (Trench 1880:246-247). plemmeleia refers to a discord in the harmonies of God’s universe. This word occurs frequently in the LXX (see Lev 5:15; Num 18:9) but it doesn’t occur in the NT. It is found in Greek church fathers such as Clement of Rome (First Clement 41). ‘It is properly a discord or disharmony’ (Trench 1880:248-249). The born again Christians don’t sin?? Then came the double whammy when the person said, ‘I read in 1 Jn 5:18 (KJV), “We know that whosoever is born of God sinneth not; but he that is begotten of God (Jesus) keepeth himself (Me and you), and that wicked one (Satan) toucheth him not”. Is this true or not? I have not met a Christian who affirms that he/she does not sin. How can the content of 1 John 5:18 be true when it doesn’t match the reality of Christian behaviour? What is causing a person to promote the KJV translation of 1 Jn 5:18? Does this translation convey accurately what that verse states in the Greek language? Do you know someone or have you heard of someone who ever lived other than Jesus who was without sin? 1 Jn 3:6 (KJV), ‘Whosoever abideth in him sinneth not: whosoever sinneth hath not seen him, neither known him’. Then he had the audacity to ask: ‘Are we reading of someone besides us here?’ That’s a way of avoiding the issue. What does 1 Jn 3:6 mean? The NIV of 1 Jn 3:6 accurately translates the tenses in the Greek, ‘No one who lives in him keeps on sinning. No one who continues to sin has either seen him or known him’. The KJV is a bad translation that misses the nuance of the Greek present tense. Are we not born of God? Does our Father somehow see us in Christ and His sacrifice covering our nakedness as He saw Adam after providing the blood offering for him? Then once again, would you go to hell for unrepentant sin if you died for speeding before you confessed for doing so? Thanks, and brother I do hope you realize I’m messing with you; I sure don’t believe this for me. I believe we are kept by God, and sealed unto the day of redemption by the Holy Spirit. (Eph 4:30). I jumped in at this point. Here there is a link to an Interlinear Greek-English translation of 1 John 5:18. The important thing to note is that hamartanei is present tense, singular number, indicative mood. Present tense has the meaning of continuous or continual action. So it means that all of those who are born again of God will not live a life of continual sin. It does not mean they will not commit acts of sin from time to time. If that happens, they seek forgiveness from God (1 John 1:9) and, where necessary, from the person against whom they committed the sin (Col 3:13). The person asked a valid question: ‘Why would anyone want to sin in the first place; would you agree that one sins on purpose, and what is the consequence of a sin not confessed?’ My response was that our sinful nature has not been eradicated. We still have it. Rom 6:18 (ESV) states, ‘and, having been set free from sin, have become slaves of righteousness’. HOWEVER, there is our continuing battle, ‘Now if I do what I do not want, it is no longer I who do it, but sin that dwells within me’ (Rom 7:20 ESV). All sin entered the world as a result of this disobedient action by Adam and Eve. How do you think this person would respond to some of that information? This was glib Christianese. His comeback was that in spite of the carnal nature, Christians are more than over comers or conquerors in Christ and in spite of what Paul stated in Romans 7, he went on to proclaim that there ‘is NO condemnation’, using these Scriptures. Rom 8:36, ‘As it is written, For thy sake we are killed all the day long; we are accounted as sheep for the slaughter’. Rom 8:37, ‘Nay, in all these things we are more than conquerors through him that loved us’. I bring this forth at different times, and what do you think of Moses who committed a sin unto death as it were (Deut 32:50) (Num 20:12) for not believing God. Is he in hell? Not quite, but he was denied certain things he could have had. I contend that it is God keeping us, and not our faithfulness. Our purpose in this is to attain into being a joint-heir with Christ as His bride. How does one reply to moving past Romans 7 and onto the content of Romans 8? I replied: Romans 8 does not negate the influence of this: ‘Now if I do what I do not want, it is no longer I who do it, but sin that dwells within me’ (Rom 7:20 ESV) is still part of living and growing as a Christian. 13 In speaking of a new covenant, he makes the first one obsolete. And what is becoming obsolete and growing old is ready to vanish away.? I do not know why you are harking back to Deut 32:50 (KJV ) and Num 20:12 (KJV) when that arrangement is now obsolete. It has vanished and has been replaced by the New Covenant. There is no need for continual sacrifices under the Old Covenant system: Hebrews 10 (ESV) provides the perfect exposition of Christ’s once for all sacrifice that has replaced the repeated sacrifices of the OT. So, Deut 32:50 (KJV) and Num 20:12 (KJV) do not have a place since the passion-resurrection of Christ. 1 Cor 10:11, ‘Now all these things happened unto them for ensamples: and they are written for our admonition, upon whom the ends of the world are come’. The point I attempted to make is that Moses was not condemned even though he suffered loss. 1 Cor 3:15, ‘If any man’s work shall be burned, he shall suffer loss: but he himself shall be saved; yet so as by fire’. However, what is the place of the OT covenant in relation to the New Covenant? Colossians 2:16-17 (ESV) affirms this, ‘Therefore let no one pass judgement on you in questions of food and drink, or with regard to a festival or a new moon or a Sabbath. These are a shadow of the things to come, but the substance belongs to Christ’. Heb 8:4-5 (ESV), ‘Now if he were on earth, he would not be a priest at all, since there are priests who offer gifts according to the law. They serve a copy and shadow of the heavenly things. For when Moses was about to erect the tent, he was instructed by God, saying, “See that you make everything according to the pattern that was shown you on the mountain”’. and they shall be my people’. Would it be correct to say that in Christ we are seen as sinless; our new nature does not sin for we are kept by our Savior. Our carnal nature, or old man walking after the flesh instead of after the Spirit may be guilty of even a sin unto death. 1 Jn 5:18 (KJV again), ‘We know that whosoever is born of God sinneth not; but he that is begotten of God (This is Jesus keeping us) keepeth himself, and that wicked one toucheth him not’. It was here that I jumped in. In Christ, we are declared righteous forensically. It is a legal standing before God: ‘Therefore, since we have been justified by faith, we have peace with God through our Lord Jesus Christ’ (Rom 5:1 ESV). Of his repeated use of the KJV on 1 John 5:18, I stated: I do not know why you continue to use this bad KJV translation. I have exegeted this verse for you (see above and below) to demonstrate that the meaning is as in the NIV where ‘sinneth not’ uses the verb which means continuous or continual action, ‘We know that anyone born of God does not continue to sin; the One who was born of God keeps them safe, and the evil one cannot harm them’ (1 Jn 5:18 NIV). That’s the meaning of the Greek, which is contrary to the KJV translation. Let’s note the difference between continuous and continual in English. According to Oxford Dictionaries, ‘continuous’ means ‘forming an unbroken whole; without interruption (2015. S v continuous) and ‘continual’ means ‘forming a sequence in which the same action or event is repeated frequently’ (2015. S v continual). Now what does the NT Greek present tense mean? John Wenham’s introductory Greek text states that ‘the Greek Present corresponds more closely in meaning to the English Present Continuous than to the Present Simple’ (Wenham 1965:29, emphasis in original). The Customary (Gnomic) Present in which the tense denotes ‘that which habitually occurs, or may be reasonably expected to occur’. An example would be Heb 3:4, ‘For every house is built by someone’ (ESV). See also Matt 7:17; 2 Cor 9:7 (Dana & Mantey 1955:183). The Iterative Present which describes ‘that which recurs at successive intervals, or is conceived of in successive periods. It is sometimes called the present of repeated action’. Such an example is 1 Cor 15:31, ‘I die every day’. Other examples include Rom 8:36 and 1 Cor 11:21. Therefore, the Greek present tense means continuous or continual action. First John 5:18 (NIV) deals with the fact that Christians do not live a lifestyle of sin. So what does 1 John 1:8 (ESV) mean? ‘If we say we have no sin, we deceive ourselves, and the truth is not in us’ (1 Jn 1:8 ESV). ‘If we say’. In Greek this is a third class condition with ean. ‘Say’ is aorist tense, referring to point action; it happened. ‘We have no sin’ = hamartian ouk echomen, i.e. sin not have. ‘That is, we have no personal guilt, no principle of sin. This some of the Gnostics held, since matter was evil and the soul was not contaminated by the sinful flesh, a thin delusion with which so-called Christian scientists delude themselves today’ (Robertson 1933:208). ‘We deceive ourselves’. Deceive is present tense active voice, meaning ‘to lead astray’ as continual action. If this happens, ‘the truth is not in us’. Again continual action of the present tense. Therefore, this verse is not teaching what this fellow was saying. It is providing this practical instruction: If we say (once for all action) that we do not have a sinful nature (a sin principle), as the Gnostics were teaching (John’s epistles are especially addressed to correct the errors of Gnosticism), then we are continually deceiving ourselves – leading ourselves astray. If that kind of denial of the sinful nature takes place, the truth of the nature of human beings cannot be in us continually. To answer the question posed as the title of this article, ‘Do Christians continue to sin?’ the reply, based on Scripture, is that Christians will sin because their sinful nature has not been eradicated. However, they will not keep on sinning as a lifestyle. They have the power of God by his Holy Spirit within them to be able to control the actions of sinful behaviour. If they sin, they confess their sins to God and he forgives (1 John 1:9). Jesus said we ought to pray, ‘Forgive us our sins [or debts], as we have forgiven those who have sinned against us’ (Matt 6:12 ISV). There is a need to confess to those we have sinned against: ‘Therefore, make it your habit to confess your sins to one another and to pray for one another, so that you may be healed. The prayer of a righteous person is powerful and effective’ (James 5:16 ISV). Do you remember the one who said, ‘Be a sinner and sin boldly, but believe and rejoice in Christ even more boldly’ (source)? Lenski, R C H 1966. Commentary on the New Testament: The Interpretation of the Epistles of St. Peter, St. John, and St. Jude. Peabody, Mass: Hendrickson Publishers. Robertson, A T 1933. Word Pictures in the New Testament: The General Epistles and The Revelation of John, vol 6. Nashville, Tennessee: Broadman Press. Also available online HERE. Trench, R C 1880. Synonyms of the New Testament. Grand Rapids, Michigan: Wm. B. Eerdmans Publishing Company. Trench’s Synonyms(1880. S v Sin), is available at StudyLight.org, http://www.studylight.org/lexicons/tsn/view.cgi?n=84 (Accessed 15 March 2015). Wenham, J W 1965. The Elements of New Testament Greek (based on the earlier work by H P V Nunn). London / New York NY: Cambridge University Press. Christian Forums.net, ‘Is God a “TRINITY”? Jim Parker#96. 12 December 2015. Available at: http://christianforums.net/Fellowship/index.php?threads/is-god-a-trinity.62213/page-5 (Accessed 15 December 2015). This entire section of various words, meanings and references to sin is based on Trench (1880:239-249). This publication is now in the public domain. The Greek dikaiosune means righteousness. This is a translation of the Greek by StudyLight.org. This is a translation of the Latin by StudyLight.org. A double whammy is ‘a situation that is bad in two different ways: a situation in which two bad conditions exist at the same time or two bad things happen one after the other’ (Merriam-Webster Dictionary 2015. S v double whammy). Wikipedia defines Christianese (or Christianeze) as referring, ‘to the contained terms and jargon used within many of the branches and denominations of Christianity as a functional system of religious terminology’ (Wikipedia 2015. S v Christianese). Take a read of a more detailed definition of Christianese by Tim at Dictionary of Christianese (2012. S v Definition of Christianese). This section is based on ibid., OzSpen#127. This is a limited edition printing in 2001, licensed by special permission from Augsburg Fortress of the 1966 edition by Augsburg Publishing House. This is the eighth printing in May 1975 and is a reproduction of the ninth edition published in London in 1880. Copyright © 2015 Spencer D. Gear. This document last updated at Date: 17 December 2015. This entry was posted in Sin on 17 December 2015 by spencer. From where did my sinful actions come? With my parents? The evil environment around me whether at school, work, TV, radio, Internet or anywhere else in our sin-soaked society? The Bible’s teaching on original sin (a misunderstood term) and the sinful human nature being the cause of sin, has caused much controversy down through the centuries. Evangelical theologian, Wayne Grudem, prefers to use the phrase “inherited sin” instead of “original sin” because ‘the phrase “original sin” seems so easily to be misunderstood to refer to Adam’s first sin, rather than to the sin that is ours as a result of Adam’s fall’. “In general Pelagians differed from Augustine in denying In general Pelagians differed from Augustine in denying that the taint of Adam’s sin and the impairment of the will brought by it have been transmitted to all Adam’s de- scendants, but, in contrast, declared that each man at birth at, has the ability to choose the good. In other words, they denounced “original sin.” Some seem to have held that Adam was created mortal and that his His death was not due to his sin, that new-born children need not be baptized, for they have no original sin inherited from Adam which needs to be washed away, and that some men before and after Christ have so used their free will that they have been sinless. God’s grace, so at least some Pelagians held, is seen in giving man free will at his creation, in giving man the law as a guide to his choice, and in send- ing Jesus Christ who by his teaching and good example assists men to do good. From Augustine’s standpoint, this view made grace unnecessary and differed little from Stoic morality”. “Modern Evangelicalism almost uniformly and universally teaches that in order for a person to be born again, he must first exercise faith. You have to choose to be born again. Isn’t that what you hear? In a George Barna poll, more than seventy percent of “professing evangelical Christians” in America expressed the belief that man is basically good. And more than eighty percent articulated the view that God helps those who help themselves. These positions — or let me say it negatively — neither of these positions is semi-Pelagian. They’re both Pelagian. To say that we’re basically good is the Pelagian view. I would be willing to assume that in at least thirty percent of the people who are reading this issue, and probably more, if we really examine their thinking in depth, we would find hearts that are beating Pelagianism. We’re overwhelmed with it. We’re surrounded by it. We’re immersed in it. We hear it every day. We hear it every day in the secular culture. And not only do we hear it every day in the secular culture, we hear it every day on Christian television and on Christian radio. “In the nineteenth century, there was a preacher who became very popular in America, who wrote a book on theology, coming out of his own training in law, in which he made no bones about his Pelagianism. He rejected not only Augustinianism, but he also rejected semi-Pelagianism and stood clearly on the subject of unvarnished Pelagianism, saying in no uncertain terms, without any ambiguity, that there was no Fall and that there is no such thing as original sin. This man went on to attack viciously the doctrine of the substitutionary atonement of Christ, and in addition to that, to repudiate as clearly and as loudly as he could the doctrine of justification by faith alone by the imputation of the righteousness of Christ. This man’s basic thesis was, we don’t need the imputation of the righteousness of Christ because we have the capacity in and of ourselves to become righteous. His name: Charles Finney, one of America’s most revered evangelists. Now, if Luther was correct in saying that sola fide is the article upon which the Church stands or falls, if what the reformers were saying is that justification by faith alone is an essential truth of Christianity, who also argued that the substitutionary atonement is an essential truth of Christianity; if they’re correct in their assessment that those doctrines are essential truths of Christianity, the only conclusion we can come to is that Charles Finney was not a Christian. I read his writings and I say, “I don’t see how any Christian person could write this.” And yet, he is in the Hall of Fame of Evangelical Christianity in America. He is the patron saint of twentieth-century Evangelicalism. And he is not semi-Pelagian; he is unvarnished in his Pelagianism”. Elsewhere, Sproul wrote: “Pelagianism has a death grip on the modern church”. “People are not born with a sinful nature, they are taught a sinful nature by other sinful people. That’s why the Bible places such an importance on parents and marriage, as they are responsible for teaching their children. If you don’t teach your children right from wrong then they’re just going to get their behavior from society. Everyone has a choice, to obey God or to not obey God. Why would be a good parent matter if you child was inherently sinful from birth? People are responsible for their own choices, which is why they are punished when they wrong choices”. Is this a biblical perspective? The Bible says through Psalm 51:5, “Behold, I was brought forth in iniquity, and in sin did my mother conceive me” (ESV). The NIV translates as, “Surely I was sinful at birth, sinful from the time my mother conceived me“. “As for you, you were dead in your transgressions and sins, in which you used to live when you followed the ways of this world and of the ruler of the kingdom of the air, the spirit who is now at work in those who are disobedient. All of us also lived among them at one time, gratifying the cravings of our sinful nature and following its desires and thoughts. Like the rest, we were by nature objects of wrath” (2:1-3 NIV). 1. Considering the Ephesian readers life before coming to Christ (which can be applied to all people before they experience salvation), Paul insists that these unsaved folks were dead in transgressions and sins and followed the world’s ways in disobedience, gratifying the cravings of the sinful nature with desires and thoughts. Surely most of us can recognise this before coming to Christ! I can! 2. From where did this sinful condition come? Paul does not say that this sinful condition was taught by other people, including parents. Paul deliberately says that we were “by nature” objects of God’s wrath. The problem did not have its initiation through sinful actions in our environment. The core cause of our sinful problems is that it is “by nature” – sinful nature. And where did it originate? The Psalms and Isaiah are clear that it comes from conception/birth. We are rebels from birth – before any sinful environment had an influence on us. These verses provide not only the cause of inherited sin, one man’s [Adam’s ] transgression, but also the solution, justification and life for people “by one man’s [Jesus Christ’s] obedience” through his death on the cross. People may object: “God is unjust for making all people sinners through Adam’s original sin”. Are you also going to object, “God is unfair in providing the God-man, Jesus Christ, as a sacrifice for sin”. Remember Romans 5:19, “As one trespass led to condemnation for all men, so one act of righteousness leads to justification and life for all men” (ESV). That’s my clearest, but brief, understanding of the issue from the Scriptures. Wayne Grudem 1994. Systematic Theology. Grand Rapids, Michigan: Zondervan Publishing House, p. 494, note 8. E. E. Cairns 1981. Christianity through the centuries: A history of the Christian church. Grand Rapids, MI: Zondervan Publishing House, p. 137. K.S. Latourette 1975. A history of Christianity: To A.D. 1500, vol 1, rev ed. New York: Harper & Row, Publishers, p. 181. Also available at: http://www.scribd.com/doc/26953799/6/Christianity-Takes-Shape-in-Organization-and-Doctrine#outer_page_151 (Accessed 25 May 2011). R. C. Sproul 2001. ‘The Pelagian captivity of the church’, Modern Reformation, Vol 10, Number 3 (May/June 2001), pp. 22-29, available at: http://www.bible-researcher.com/sproul1.html (Accessed 25 May 2011). Available at: http://www.monergismbooks.com/Freedom-of-the-Will-p-16186.html (Accessed 25 May 2011). Verticordious #14, 24 May 2011. Christian Forums, Theology (Christian only), Christian Apologetics, “But what about those who never hear about Christ?”, available at: http://www.christianforums.com/t7562188-2/ (Accessed 25 May 2011). The following was my response to Verticordious at OzSpen #22, 25 May 2011, available at: http://www.christianforums.com/t7562188-3/ (Accessed 25 May 2011). Copyright © 2011 Spencer D. Gear. This document last updated at Date: 13 October 2015. This entry was posted in Atonement, Salvation, Sin on 25 May 2011 by spencer.